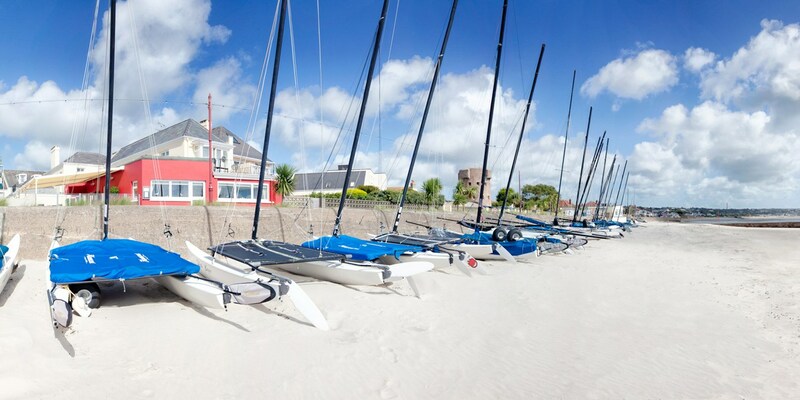 Building on Mark Jordan’s resounding success at The Ocean, one of only a handful of Michelin-starred restaurants on Jersey, Mark Jordan at the Beach presents diners with a less formal option for dinner, the kind of place where no one would look at you too strangely if you came in with a little sand in your hair from windsurfing. 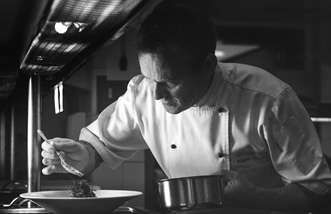 Mark Jordan is synonymous with Jersey thanks to his exemplary cooking at Ocean at The Atlantic. 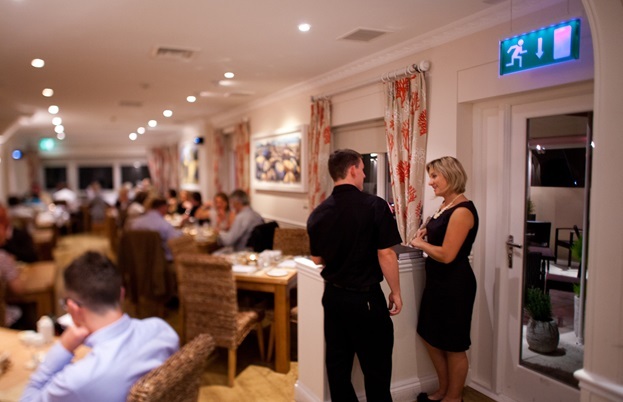 Though he has since left the prestigious hotel, Jersey residents and visitors alike can still enjoy his cooking at Mark Jordan at the Beach – a sister restaurant to Ocean where Mark cooks a more relaxed, bistro menu, right by the sea in St Peter. Though the food here is not as formal, it is no less elegant and inviting. 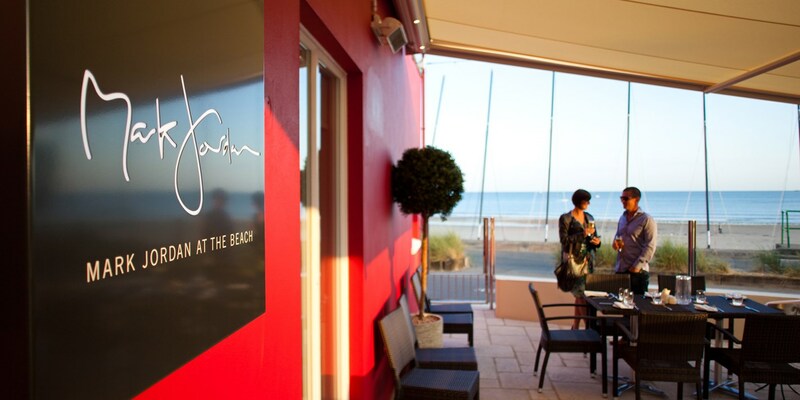 Mark's food has always been, first and foremost, a reflection of the unique, incredible bounty of produce that Jersey boasts, and he puts that front and centre of the menu at the Beach as well. All the fish and shellfish comes from the nearby coast, as do many of the vegetables. Lemon sole comes topped with vinaigrette made with capers, prawns and cockles – but with plenty of comfort foods like Scotch eggs with cauliflower piccalilli or a horseradish-encrusted fillet steak on the menu, too. The thirty hour braised beef short rib – from nearby Harmony Farm – with celeriac puree, could easily be a dish worthy of a Michelin star, but the addition of onion rings and caraway cabbage makes it rather more informal, but no less delicious. The Beach's rattan furniture and red décor invite passersby to make themselves at home, and local artists' paintings serve to enhance the bistro atmosphere. 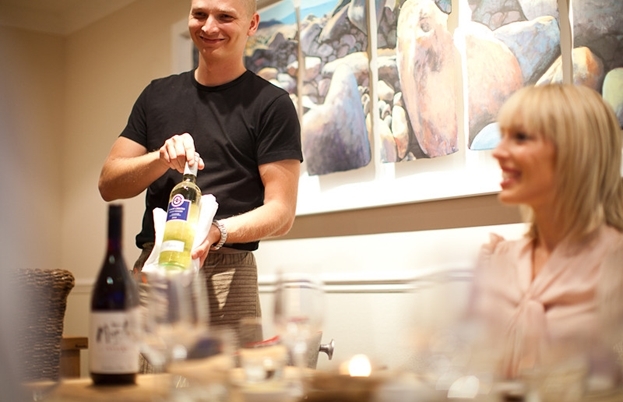 As for the wine list, there's a wide selection of hand-picked wines available by the glass, and the list in general takes a worldly vibe, with plenty of input from the new world as well as Europe. Born in Wales and raised in the Midlands, Mark’s career has taken him through the most revered kitchens in England, including La Rascasse, Jean-Christophe Novelli’s The Mill at Gordleton and the Pink Geranium, where he worked for seven years. Between chefs like Novelli, Keith Floyd, Steven Saunders and Michel and Albert Roux, Jordan’s colleagues and partners make up a veritable who’s who of fine dining in England. He's appeared on BBC Saturday Kitchen and recently published Ocean Voyage. The Telegraph praised Jordan for his ‘honest, fad-free style’. His food is as eclectic as it is irresistible, combining the top-shelf meats and (more often) seafood with unexpected, complementary flavours that are far from usual without being showy or ostentatious. The AA Guide says, ‘There’s a mix of classic and visionary dishes here, all headlined with their main ingredient’.